By and large, no couple enters into a marriage believing that it is going to end in divorce. While this may be true, the reality is that over half of first marriages end in divorce. And, according to the Forest Institute of Professional Psychology, it only increases when taking into consideration second and third marriages. If your marriage is at the point where divorce is inevitable, then you need to call an Houston divorce attorney. Divorces are difficult. It’s more than just the end of a relationship. It is also a hard legal process because it can exacerbate emotional wounds. From there, issues such as assets, property, taxes, and potentially child custody, will have to be resolved. You need a legal professional that will handle your situation with the care and attention it deserves. That’s why you need to turn to Cyril Westcott as your Houston divorce attorney. Hire you the Westcott Law Group as your Houston divorce attorney. Texas is a “no-fault” divorce state. In other words, married couples can get a divorce because they do not want to be with each other anymore. Generally, Texas courts grant divorce on the no-fault basis. In Texas, the period of reconciliation is 60 days. As another way of putting it, you have to wait 60 days before you can actually be divorced. 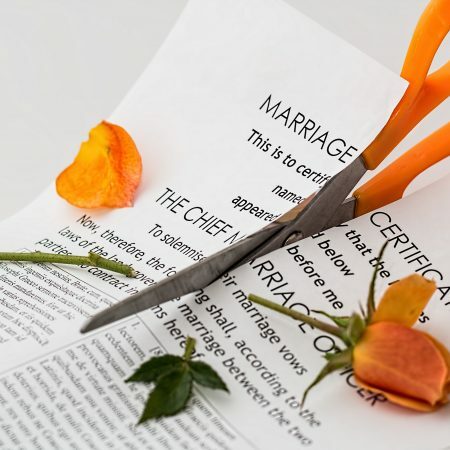 Indeed, you can file a divorce decree as part of a Rule 11 or Settlement Agreement, but you cannot be legally divorce until that 60 day period has passed. Neither party has to seek permission for a divorce. If you wish to divorce your spouse, a court will grant you a divorce—granted, it may take time. The vast majority of divorces are based upon “irreconcilable differences”. Simply put, some couples grow apart. Your life may have changed. On the other hand, almost half of the divorces in Texas end as a result of an extramarital affair, or adultery. This is important—this is an example of a “fault-based” divorce. If a court grants a fault-based divorce, then a party may be subject to a greater share of the martial estate. The court will divide the martial property. In fact, contrary to popular belief, Texas law does not mandate an even split, or 50-50 rule. In our jurisprudence, it is called “just and right”. However, most judges are going to start out dividing the marital estate evenly. In regards to children, the divorce decree will make provisions for their conservatorship. Typically, there will be possession schedule (or, in other words, when the child or children will stay with one party and vice versa). Unless previously agreed upon, the court will order child support. Whoever is the person who agreed to or the court orders to pay child support generally pays for the child’s healthcare. Here in Texas, judges usually apply the Texas Standard Possession Order. Divorce may be common, but Mr. Westcott also recognizes that each case is indeed unique. Obviously, no two persons or marriages are the exactly the same. He will treat your case with the care and concern that it deserves. Divorce is tough, and Mr. Westcott understands. Contact Cyril Westcott, an experienced Houston divorce attorney, today.